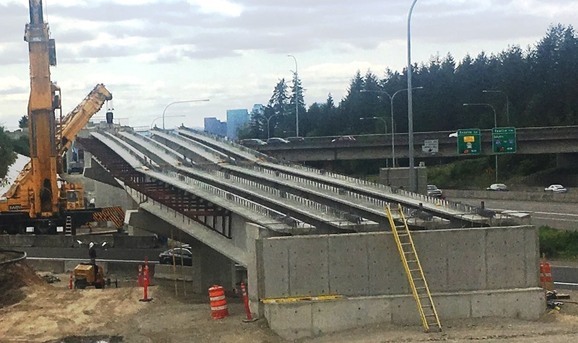 From Tuesday, July 10 until Saturday morning, July 14, crews working to build Sound Transit’s East Link project will install concrete girders between future elevated guideway columns in Redmond’s Overlake neighborhood. Mobile cranes will be at work along SR 520 at 148th Avenue NE from 10 p.m. to 5 a.m. nightly. Wednesday, July 11 – Friday, July 13 - 148th Avenue NE at SR 520 from 10 p.m. to 5 a.m.